Pack for a Purpose travelers that took supplies when staying at Siringit for the Baraa Primary School have been incredibly helpful in supporting the school and iThemba`s goal in improving the learning, health and wellbeing of the students. We are very grateful for the generosity of these travelers. From September through the end of December, Pack for a Purpose travelers took 345 kilos of supplies for the Baraa Primary School. Baraa Primary School is a government school in Arusha, which is one of the most deprived areas in the city. It is the only government primary school in Baraa, which covers a large, very populated rural area. Currently there are approximately 1750 students in the school from Kindergarten (aged 5) to Standard 7 (aged 14). As with any government school, Baraa Primary School gets a very modest budget from the government. This does not stretch to cover all the basic school supply needs for the entire school year, so the pens, pencils and chalk donated to the school is an enormous help. The pens and pencils are used in remedial classes for the younger children that are run by volunteers. Remedial classes are for children that are getting low monthly test results and need extra support in their learning. Volunteers at the school provide remedial classes in reading, writing, math, and English. 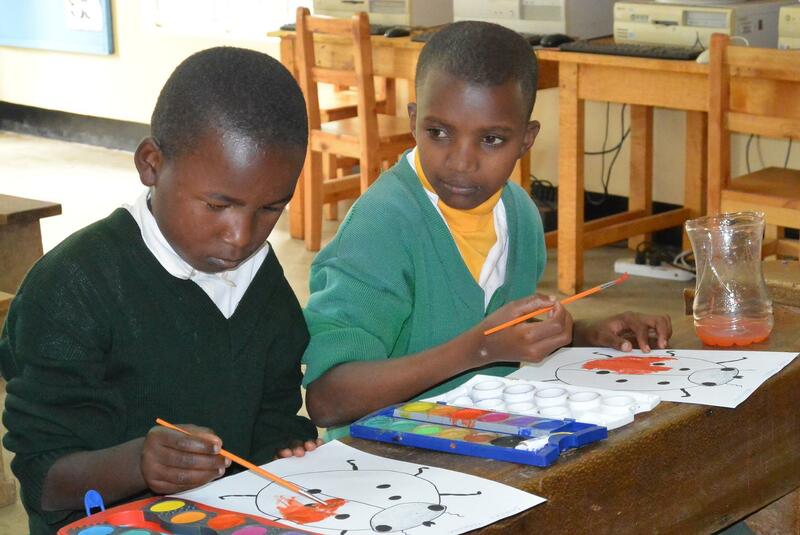 Volunteers often use art materials donated through Pack for a Purpose travelers to make the learning fun. Art is not part of the curriculum in the school. Volunteers teach these lessons during the afternoons in extra-curricular time. We have received a fantastic supply of great art materials, which the children use in these lessons, provided by Pack for a Purpose travelers staying at Siringit. The children love doing art. They do not have the opportunity to do art at home, as they have no materials to do so with. They come from very poor backgrounds. So being able to paint and create things with glue, paper and cardboard is magical to them, and gives them an opportunity to be creative and express themselves, which they would not normally be able to do. iThemba support a large extra-curricular program at the school, including traditional dance and drumming, drama, gymnastics, cricket, football, volleyball, netball and basketball. Many balls are damaged when you have sport every week for 1750 children! We are grateful for the great supply of balls and pumps we have received from Pack for a Purpose travelers! We also had some very generous donations of sports clothing that are in use every week. 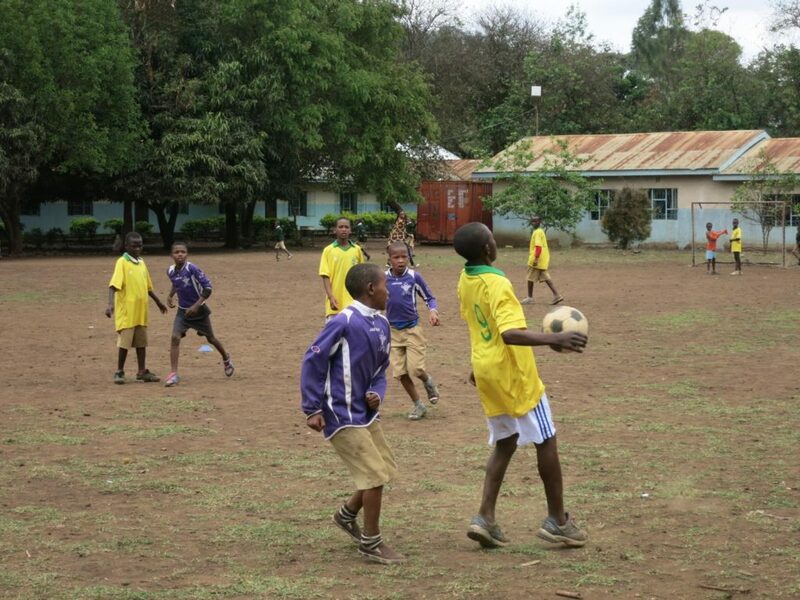 The children at the school cannot afford their own sports kits, and many cannot even afford a uniform. 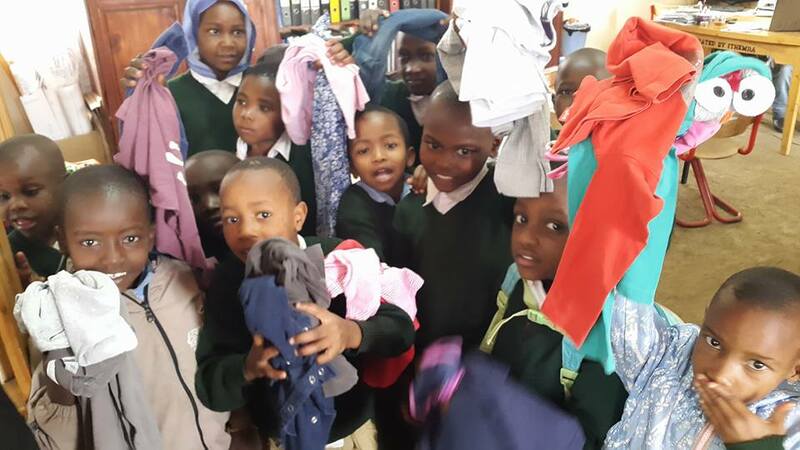 All the sports kits, including sports shoes, shorts and shirts are shared by all the children at the school. They are of course washed after each use! For Siringit, being a part of Pack for a Purpose has provided us with an opportunity to make our guests and other travelers to Tanzania aware of the opportunity they have to make the trip they take go farther than the miles they travel.